Health News Wires offers exclusive trial access to Super Nutrition Academy for just $1. Users are provided unprecedented access to the Super Nutrition Academy online program during the one month trial, including detailed information of how macronutrients like fat and carbohydrates influence weight loss and overall health. Super Nutrition Academy is a one year online nutrition program divided into weekly 40-60 minute lessons. Each lesson is part of one of the 12 nutrition modules designed to provide the user with a complete understanding of how nutrition influences overall health and wellness. Providing only researched-based nutrition information from registered holistic nutritionist Yuri Elkaim, the Super Nutrition Academy ends the confusion caused by “diet” and “health” magazines. Topics covered over the 12 month Super Nutrition Academy include how using natural foods can ward of certain illnesses, the dangers associated with modern nutritional information released by mainstream media, and how to improve health and speed up metabolism by using a combination of whole foods and regular exercise. Super Nutrition Academy provides an in-depth, easy to understand explanation of how your body and food choices work together to improve health, energy, and wellness. The program gives people the information needed to become masters of their own health and wellness. Each monthly module included in the Super Nutrition Academy focuses on mastering one key health and lifestyle habit. Month one’s healthy lifestyle change is called “Sugar Buster” and provides key information for ending sugar craving and dependence associated with weight gain, high blood sugar, and diabetes. The complete Super Nutrition Program provides users with information that ends confusion about health and nutrition, promotes weight loss, minimizes risk of preventable diseases like obesity and heart disease, and improves overall energy and quality of life. For a limited time, Health News Wires is providing complete access to the Super Nutrition Academy for only $1. 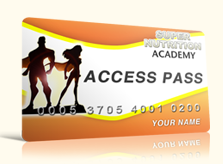 To take advantage of this rare offer, click http://healthnewswires.com/Super-Nutrition-Academy/. In addition to providing access to the Super Nutrition Academy, Health News Wires is also giving away a free e-book titled The Top 5 Fat-Burning Thermogenic Foods. The complete e-book is available for immediate download at: http://healthnewswires.com/Thermogenic-Foods-Report/.